The importance of science-based emissions reduction targets cannot be overstated. 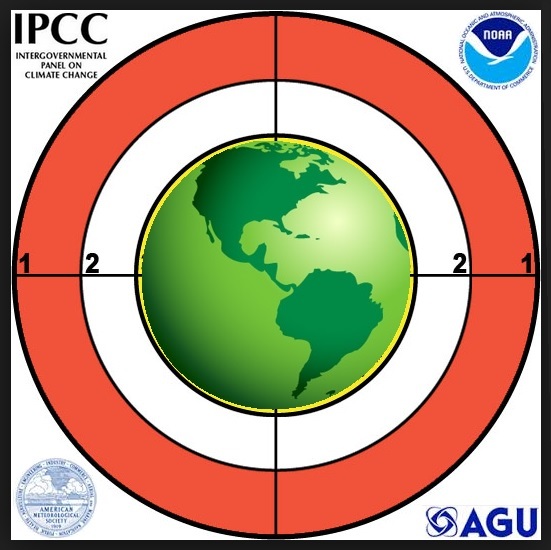 Failure to adhere to these targets will augur a climate catastrophe. The first round of emission reduction targets agreed to at COP21 are laudable, but climate scientists tell us that we must be even more ambitious. Even if all nations achieve the emissions reduction targets contained in the Paris Climate Agreement, we will fail to keep temperatures within prescribed limits. We cannot afford to compromise on emissions reduction. The goal of science-based targets is to keep temperatures from rising beyond the upper threshold limit (between 1.5 and 2 degrees Celsius above pre-industrial norms). A 1997 Atlantic article titled "No Middle Way on the Environment" starts with the words, "In a political dispute the truth must lie somewhere in the middle" however when it comes to combating climate change, compromise simply won't do. Although the Atlantic article deals with over-consumption, the same premise can be applied to climate action. In the Atlantic article, the debate is between cornucopians and environmental scientists. In the case of climate change, the two diverging poles are represented by the research conducted by climate scientists and the denial put forth by fossil fuel-funded front groups. Science is not about compromises, it about evidence. The evidence points to the fact that if we fail to radically reduce global emissions we will surpass tipping points from which we may not be able to recover. We are on track to exceed the upper threshold limit of 2 degrees Celsius as soon as 2050, even if every nation honors their emission reduction pledges made at COP21. We may pass the 1.5 degree target as soon as 2030. In a September 29th article by Michael Holder, Business Green reports on scientists who say that we will pass the upper threshold limit without urgent climate action. This is the warning in a new analysis from seven top global climate experts. They bluntly state that to stay within acceptable limits, we will need to see countries commit to more ambitious emissions reduction pledges, known as intended nationally determined contribution or INDCs. The new analysis comes from a team of scientists led by the UK's Sir Robert Watson - a former chair of the Intergovernmental Panel on Climate Change (IPCC). This research reiterates the findings of a 2015 UN INDC Synthesis Report. We are headed in a perilous direction. Global temperatures are already 1 degree Celsius above pre-industrial norms and we could see 4 degrees of warming unless we make a consorted global effort to reduce emissions. Climate science has convincingly made the point that fossil fuels are the leading cause of climate change. The report warns that we need to tackle emissions from all sectors, but it singles out the need to radically reduce our use of fossil fuels. Currently, around 82 percent of the world's energy is derived from the burning of fossil fuels. The report criticizes so-called climate skeptics whose anti-scientific arguments have helped to slow climate action. Despite the efforts of those who seek to derail climate action, the report concludes, "there is still time to slow down the current path towards reaching the 2C target within the next few decades". Another recent study published in Biology Letters supports the need for urgent action with the finding that the planet is warming much faster than previously thought. If governments and industry were to seriously work towards science-based emissions reductions we could avert an apocalyptic future. There is already a working example of such a program for business. It is called the Science Based Targets initiative. It provides corporations with the information they need to set meaningful climate goals. There are currently more than 155 companies that are part of the Science Based Targets initiative and many of these companies have pledged to work towards emission reductions that far exceed the minimum required. As explained in a press release, these commitments form "the foundation of a credible corporate climate action strategy as the world transitions to the low-carbon economy." Previously emission reduction targets were more or less arbitrary. Under this new initiative, targets are grounded in a factual assessment of what is required to keep the world from warming beyond prescribed limits. As part of this initiative, companies are not only slashing their own emissions, they are calling for reductions across their value chains. At a September SEJ conference, reasons were offered as to why science does not get the respect it deserves. According to some, science fails to resonate because scientist are not good communicators and scientific papers are commonly poorly written. While this may be true, there are also other factors at play. The adoption of science based targets is undermined by a wealth of misinformation put forward by partisan interests like the fossil fuel industry and their conservative minions. In places like the U.S., Australia, and Canada, government climate policies have been hampered by conservative politicians beholden to dirty industries. They have helped to create an ill-informed electorate which then contributes to political choices that are at odds with science. As explained by author and professor Gary Schwendiman in his new book, "The Future of Clean Energy: Who Wins and Who Loses as the World Goes Green," the solutions are very much within the world’s grasp, it’s just a matter of overcoming misinformation. To overcome such misinformation we must expose those who prioritize partisan economic interests over science. Science offers us a common language that can breed consensus. 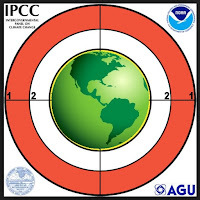 Failure to adopt science as the basis for climate action leads to spurious targets or no targets at all and this will preclude the possibility that we will be able to keep temperatures from rising beyond prescribed limits. At the SEJ conference, NPR's Christopher Joyce said that science offers validity and should inform policy. At the same conference, science writer and journalist Brook Borel suggested that while we should scrutinize scientific findings, we also need to overcome the unwarranted mistrust that often obscures scientific inquiry. As she explained, we need to overcome mutual suspicion so that we have the feeling of a "shared mission." Blogger Sarah Zielinksi explained that science is far too often the missing context. She went on to say that when speaking or writing about the environment and climate change, we need to ground our comments in science rather than just talk to a subject. One of the best comments at the conference came from Pulitzer Prize winning journalist Dan Fagin, who said that we need to stop thinking about science as the other. He explained that science is an evidence-based way of thinking. "Science is not an extra - it is the foundation," Fagin said. He further suggested that we should not allow people to incorrectly portray science as "just another opinion." The logic of adopting science-based targets is overwhelming, it gives us the shared foundation we need to safeguard the well-being of the planet and its inhabitants. It is the 11th hour and now more than ever we need to act on climate change using science-based emissions reduction targets.